I want to Thank everyone for visiting with us. If you are having a hard time subscribing to our blog please let us know. We are still trying to get all the kinks out. Market was GREAT the Blowout Sale for Fabshop is over. Since we know not everyone got to shop when the blowout sale was going on we are extending it for a week. The Sale will continue until June 3. 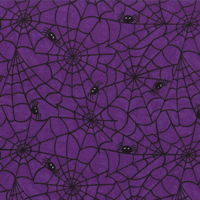 Don't forget that our new lines of Vintage Modern and Happy Howloween from Moda are on sell along with everything else on our site so HAPPY QUILTING.